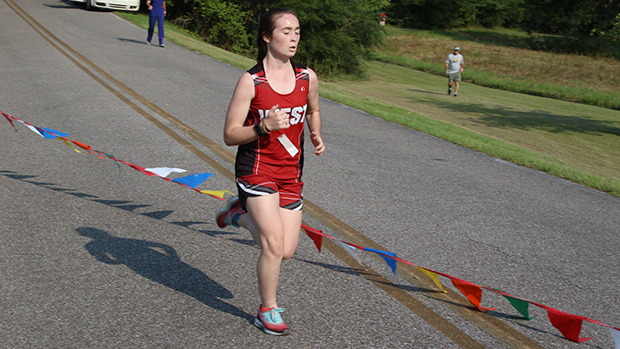 Emma Claire James, West Lauderdale set the pace early and won with ease at this last 3200 meter run before the season really kicks in her time of 13:01 in the heat was not bad on the mostly grass course. Lamar School girls took the team win with 34 points and West Lauderdale was right behind at 40 points. Link to the complete girls results on Mississippi MileSplit. 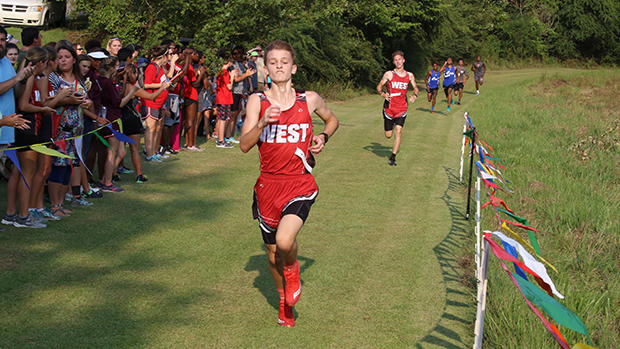 Griffin Atkinson, West Lauderdale won the boys race but had a pack chasing him all the way to the finish. He ran 12:00 to get a firm start on the new season. West Lauderdale boys easily won the the team Championship with 27 points. Northeast Lauderdale was second and Meridian High was third.